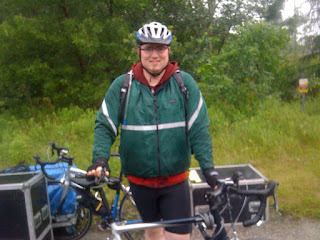 Our bedraggled heroes have returned from their quest to ride 25 km for the Heart and Stroke Society. In actuality they traveled about 36 km because they snuck a few extra (ill-advised) km in there, and instead of cycling that distance, they swam. To quote a book of recent popularity "Blub, bluuub, bluuuuuuuuubbb"